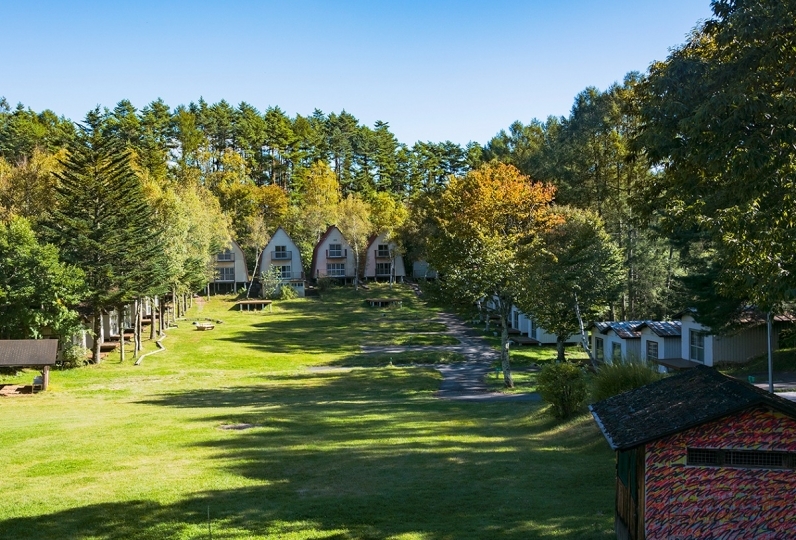 Breathe in the crisp air of Tateshina and bask in the natural surroundings. This is the beginning of a trip where you regain the calm and relaxation that has been lost in your busy day to day life. The stylish and calming interiors of the guest rooms are full of sunlight and provide a comfortable atmosphere to spend time in. Our slightly higher end suite room provides a pampered hotel stay. For dinner, enjoy a high grade buffet of Japanese, Western, and Chinese dishes. Enjoy a healthy themed buffet of seasonal cuisine that comes fresh out of our open kitchen. Mumirogensen is a hot spring whose history goes all the way back to Tateshina's god. Our hot spring drawn baths have beautifying benefits and provide moisture to your skin. Soak in our natural herb bath, natural ore bath, and medicinal bath and melt away your fatigue. On our over 20,000 square meter property, you will find a sculpture park with about 70 unique sculptural pieces. Take a stroll through the park as you enjoy the sculptures that harmoniously stand amidst Tateshina's nature. 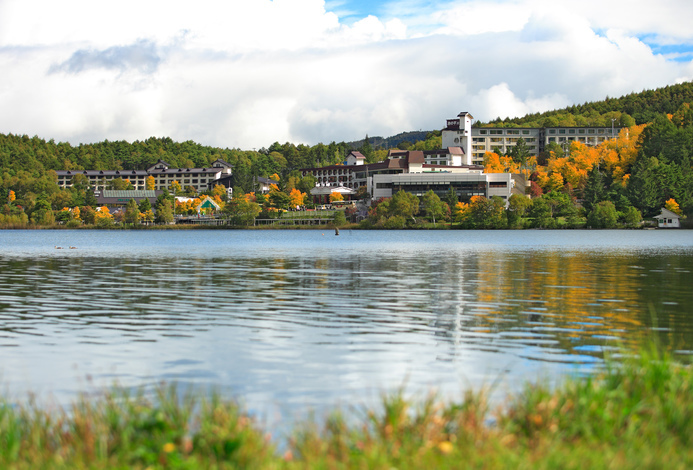 Resort Hotel Tateshina provides a respite from the hustle and bustle of city life in Tateshina's natural surroundings. Thank you for your polite response despite the late check-in time. The steak was very delicious. Employees also corresponded very kindly and friendlyly. The chair of the bath and the washbowl were also white and it was very clean. The height of the chair is exactly right. In other words, bath towels, each one is tender. I want two cards to be aligned, I would like to use it again. The rooms were spacious and comfortable. However, I did not use the bathroom in the room seen from the washroom (toilet), but it was not renewed and I was a little worried. It is a pity that the outdoor bath in the public bath. There was only one small bathtub .... It was not easy to relax. (The next morning was replaced and the other was satisfactory) The meal was very delicious. and create your own original dinner course. 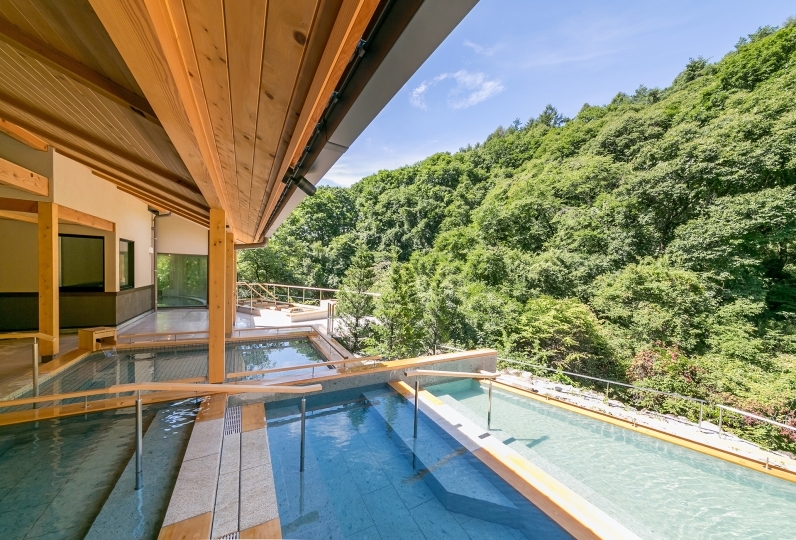 Our large communal bath area includes 2 indoor baths and a stone outdoor bath that draw hot spring water directly from the Tateshina Mumirogensen. There are also 3 barrel style baths made of cypress (2 indoor and 1 outdoor). Mumirogensen is the hottest acidic onsen in the prefecture and has beautifying properties that make your skin silky smooth. Our barrel style baths each have various ingredients such as rose and tourmaline added in to provide additional healing and health benefits. We change out the water each morning and evening, so enjoy a soak in each of the different types of baths that we offer. Would you like to take a morning stroll through the sculpture park located on our property? Enjoy sculptural pieces amidst the beautiful natural scenery. Around 70 sculptures by famous Japanese artists are displayed throughout the park. Visit our authentic Ayurvedic salon and experience deep relaxation. A disco-like karaoke facility where everyone can sing and dance. Enjoy the spacious room with all of your friends and family. Karaoke room is reserved to one group at a time. 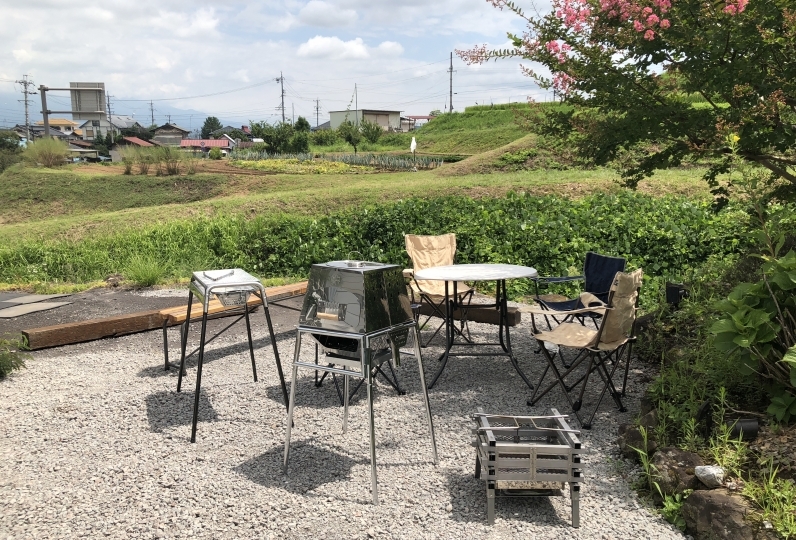 About 2 hours and 10 minutes from Shinjuku via Azusa Limited Express. Take the Shinano Limited Express to Shiojiri Station and transfer to the Main Line to Chino Station. From Chino Station East Exit, there is a free pick-up/drop-off bus service.